a database table is a mathematical relation, in other words a predicate and a set of tuples ("rows") for which that predicate is true. that means each "row" in a "table" is a (true) proposition. this may all look scary but the basic principles are really simple and worth knowing and applying rigorously: you'll better know what you're doing. you want Books, Authors, Publishers and Users with their bookshelfs (Read, Currently Reading, Want to Read). what are the predicates in that? "user U has read book B", "user U is reading book B", "user U wants to read book B" would be some of them; "book B has ISBN# I, title T, author A" would be another, but some books have multiple authors. in that case, you'll do well to split it out into a separate predicate: "book B was written by author A". 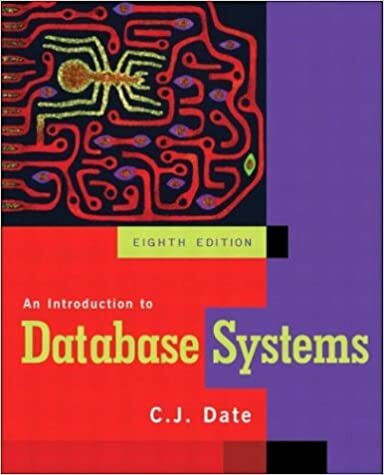 If you are new to the subject then Introduction to Database Systems by Chris Date is a good place to start before you get onto database design. A functional dependency defines a functional relationship between attributes. For example: PersonId functionally determines BirthDate (normally written as PersonId -> BirthDate). Another way of saying this is: There is exactly one Birth Date for any given given any instance of a person. Note that the converse may or may not be true. Many people may have been born on the same day. Given a BirthDate we may find many PersonId sharing that date. Sets of functional dependencies may be used to synthesize relations (tables). The definition of the first 3 normal forms, including Boyce Codd Normal Form (BCNF) is stated in terms of how a given set of relations represent functional dependencies. Fourth and fifth normal forms involve Multi-Valued dependencies (another kettle of fish). Here are a few free resources about Functional Dependencies, Normalization and database design. Be prepared to exercise your brain and math skills when studying this material. The following are academic papers. Heavier reading but well worth the effort.